Ray Crawford is relishing the continued impact of the Wolves old boys network at Portsmouth – but resigned to the fact he will have to wait some time yet to savour a gold and black outing to his home city. 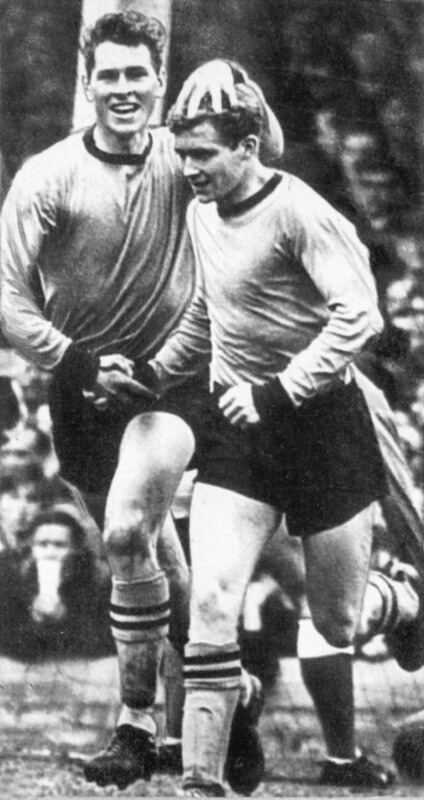 Good pals….Ray Crawford and Terry Wharton celebrating a Wolves goal. From the depths of their spectacular plunge from the top flight to the Football League basement, Pompey took the first step on the climb back by winning promotion to League One under Paul Cook. 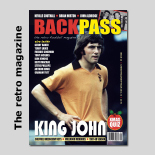 Now they find themselves well clear again under Kenny Jackett as they chase another promotion, with Crawford a regular and enthusiastic watcher. “I go to all the home games and am delighted to see them doing better,” he said. “It was tough a few years ago seeing them fall so far and so fast. “Despite playing really poorly and losing at home to Blackpool at the weekend, we’re still four points clear at the top, which is a lovely position to be in. “Kenny is clearly doing a decent job here and has the experience of having given Wolves a highly successful season at this level, so I am optimistic he can see the task through in the next three or four months. 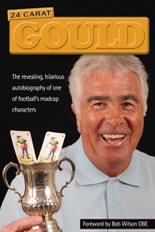 Crawford’s arrival at Molineux in the autumn of 1963 came a few months after the departure of Bill Slater to Brentford and the one-time England centre-forward is still sharp as he reels off the names of Jimmy Murray, Eddie Stuart, Gerry Harris and Malcolm Finlayson as others from the glory years who were being moved on. “My first few days at the club were eventful,” he added. “We lost 6-0 in a Monday night match at Liverpool on my debut and then won 2-1 at Blackpool the following Saturday,” he added. “I scored both goals there and think it was one of Alan Ball’s first matches because I recall him running round kicking all of us. He was a fiery little devil! Crawford regrets having worked with Cullis only when his powers were in decline, the manager having recruited him in unusual circumstances. 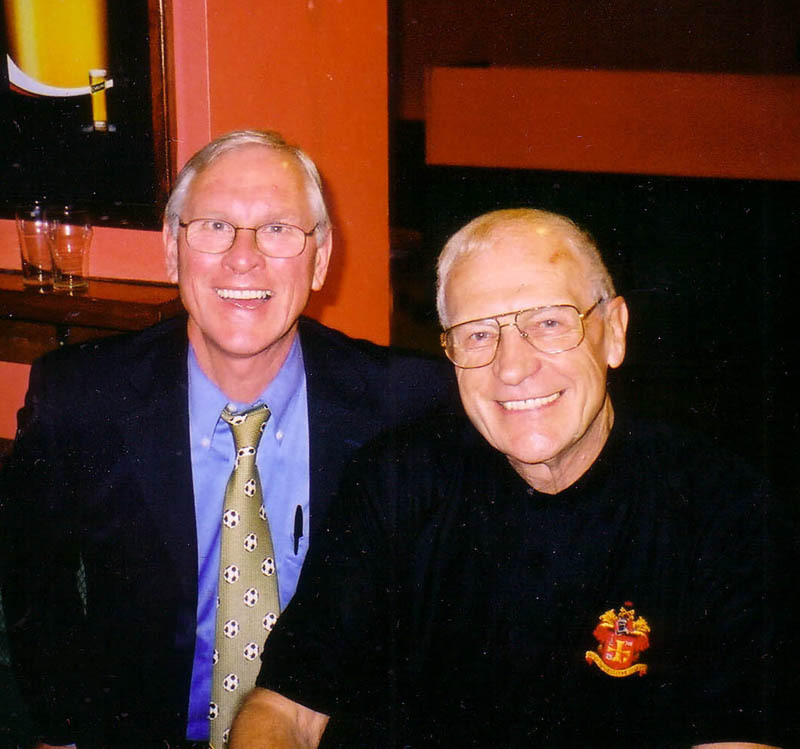 Ray with Malcolm Finlayson on a 2002 book-signing trip back to Molineux. The player was at home bathing his daughter after a home game when Cullis, who had been among the spectators at Portman Road, knocked on his door and talked business. Posted on: Monday, January 14th, 2019.